Law specialisms: where should lawyers focus their talents to secure top salaries? Lawyers rarely choose a specialism with an informed view of what the impact on their future earnings could be. We've looked into the best paying law specialisms so you don't have to. There's a huge spread in data, and with such a demanding job, long hours and years of studying, it is surprising to see as much as a 42% gap between Leveraged finance and Private client work. If aiming for best paying jobs, aim to work with companies rather than individuals as clients, as margins are by far more attractive. Staying close to the financial industry guarantees higher salaries, with specialisms such as Leveraged finance and Structured finance all holding the top spots. Young lawyers' salaries have been under pressure especially in finance-related specialisms as banks have tightened their cost base and their own staff costs, sending a ripple through their law contractors' pay. 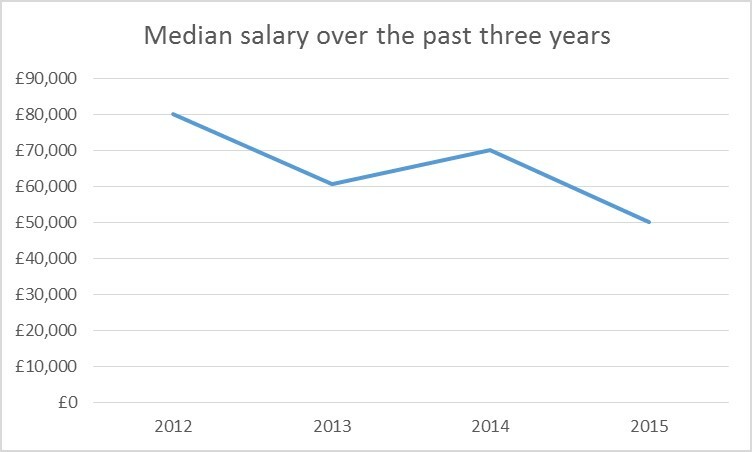 Base salary has dropped by nearly 40% over recent years, leaving junior lawyers £30,000 pounds worse off. Law firms or In-house legal jobs: what is the gap during the career? Working directly for a law firm is more attractive in financial terms, but it requires higher level qualifications throughout a legal professional's career. Law firms are clearly intent on rewarding qualifications and gruelling hours. If you are an in-house lawyer, then working in the finance sector will yield the best salary. However, lifestyle is key: a trading floor lawyer is likely to be under extreme pressure to deliver time-sensitive documents, and hold the key to enabling or killing key trades - not everyone would agree to that working environment even for a top salary. While choosing to study Law is a long and demanding journey, it is rewarding when it comes to picking a career and a working environment. If it's high pay you are looking for, then aim for legal counsel positions at investment banks, or finance-related departments within a law firm. Beyond pay though, working as legal counsel is an effective way to switch sectors and infiltrate a new industry or firm as other opportunities beyond purely law-related jobs are bound to open up. A stepping-stone to a different career or a vocation, being a lawyer is a bow with many strings.